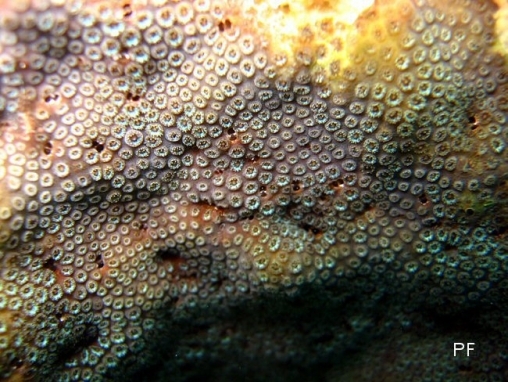 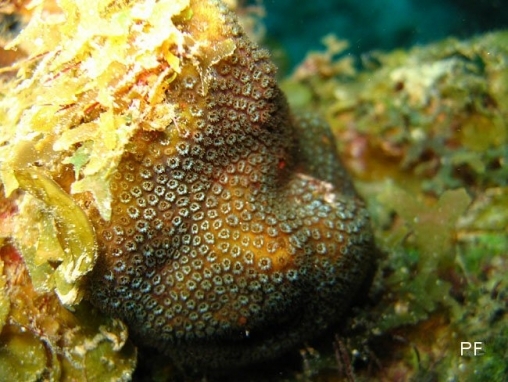 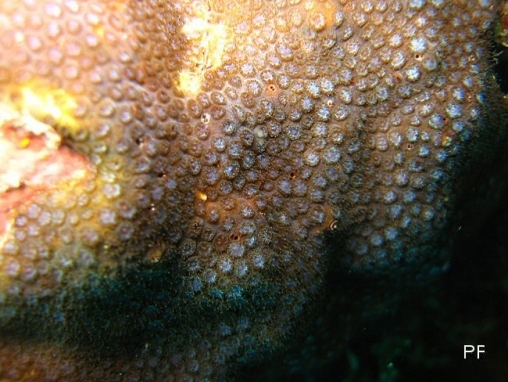 Colonies are mainly encrusting, with small, lumpy projections, not branched. 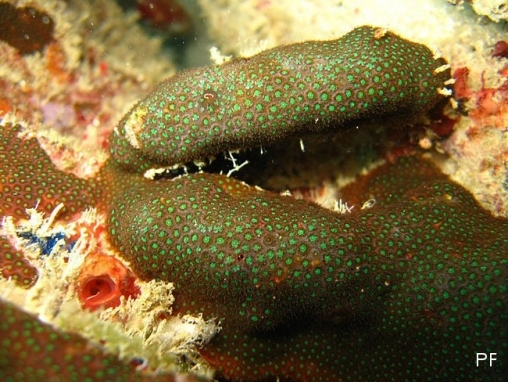 It usually lives under ledges and in other cryptic reef habitats. 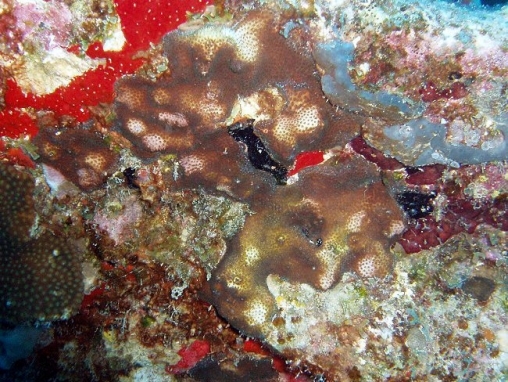 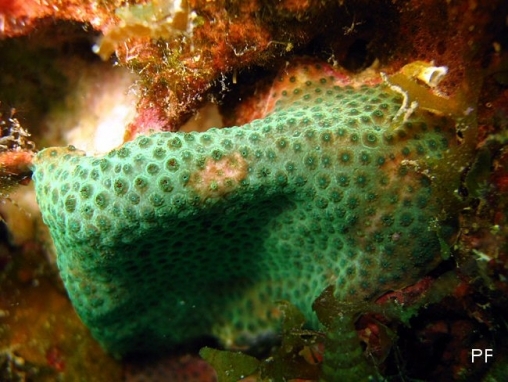 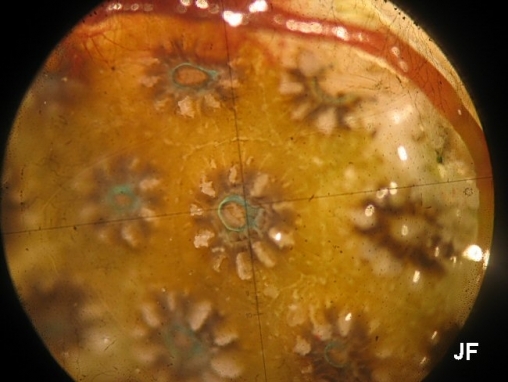 There are two forms: with zooxanthellae as here, called luciphylla, and without zooxanthellae, called luciphogous. 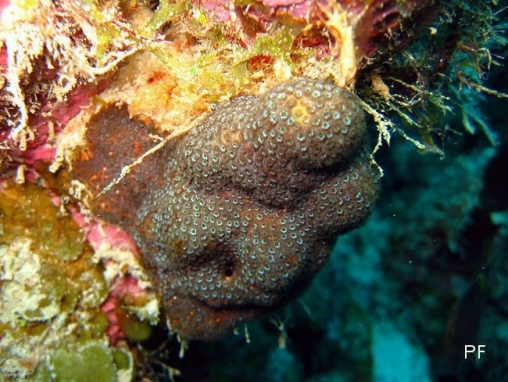 The form without zooxanthellae is found also on the East Atlantic and Mediterranean coasts.